The amount of house maintenance tasks you are responsible for as a homeowner can be quite overwhelming. You may not always know what to do, particularly when it comes to gutter problems and how to fix these issues. Luckily, you can stay on top of your upkeep duties by following these tips from your gutter installation company Advantage Seamless Gutters. Clogging is perhaps the most common issue encountered by gutters. Fortunately, this is also one of the easiest problems to fix. A thorough and efficient gutter cleaning is all it takes to address this issue. You may choose to clean your gutters at least once a year, but it’s better to schedule regular cleaning and maintenance more often than that, especially after the fall or after a storm. If you prefer less frequent gutter cleaning, you may choose to install gutter covers. There are also gutter systems that are easier to clean, such as seamless gutters. This type of gutter, combined with the proper gutter protection, can help make chronically clogged gutters a thing of the past. You can caulk leaking gutter joints using a gutter sealant, which is available at hardware stores. Gutter holes, on the other hand, require patching. You may purchase a patching kit, or you may fashion a patch from metal flashing. Keep in mind that while you can fix minor holes and leaks yourself, it’s in your best interest to hire a contractor instead. Not to mention, your gutters can only take so much patching and caulking before they need to be replaced entirely. If your gutters are starting to sag or pull away from the roof, you may want to check the hardware that fastens the eaves to the fascia. The hangers might have come loose, may be spaced too far apart or may be starting to decay. In any case, ensure optimal condition and placement of the fasteners. You may also use metal straps to keep your half-round gutters in place. 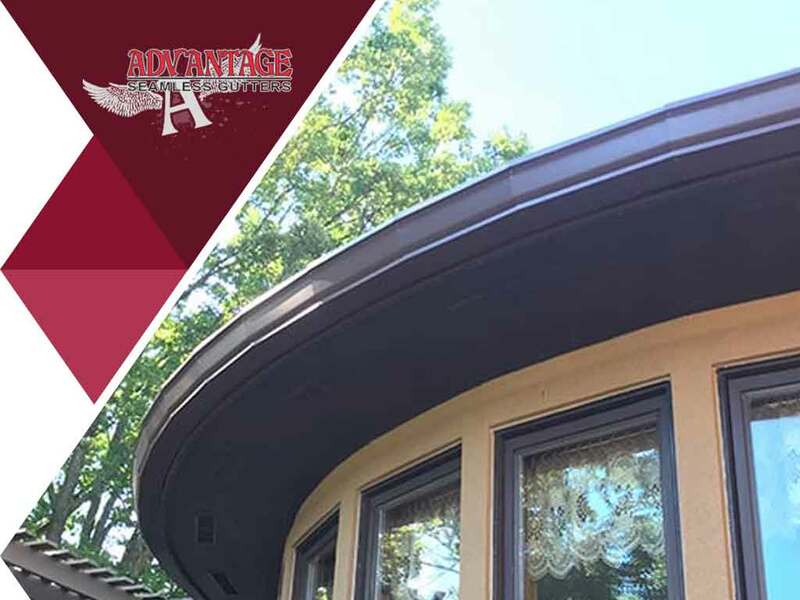 You can count on Advantage Seamless Gutters to come up with effective solutions to all your gutter problems. Contact us at (218) 212-1818. We serve All of greater MN.